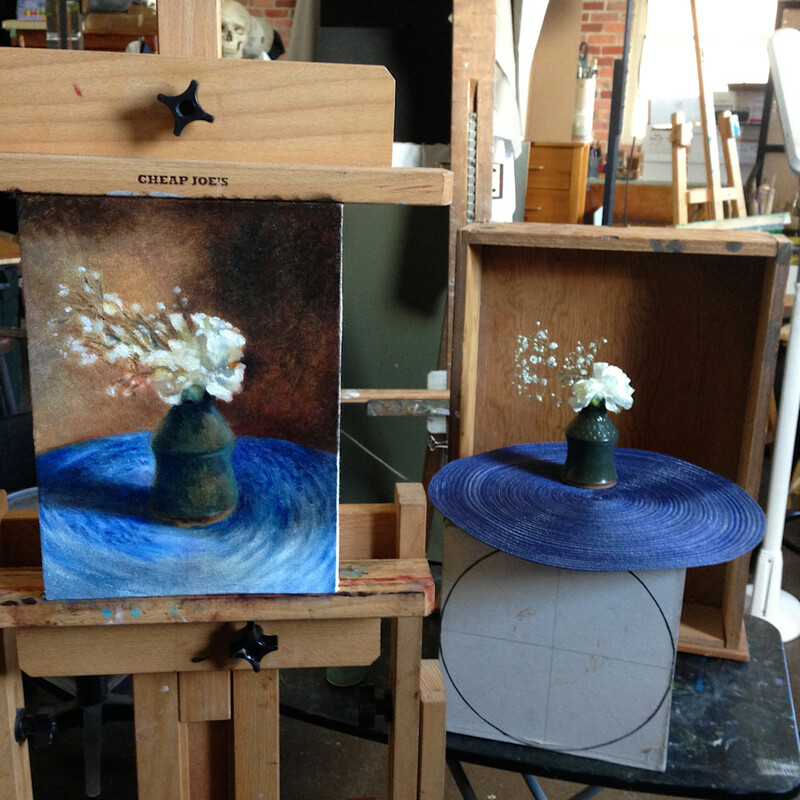 A recent little Still Life painting of White Carnations and Baby's Breath, oil on linen mounted on panel. Shown after completing the first of two sittings on this piece. It is available and will be listed on my site shortly. Hey everyone, hope you're doing well and are having a good summer so far. t was a very busy semester at UNC Asheville, where I have returned to finish my art degree. I was accepted into their challenging Bachelor of Fine Arts program this Spring, and received two scholarships from the art department. I'm also pursuing a minor in French. Some of you who have followed my work for a little while know that I like to go to France when I can, and I was lucky to be able to travel there right after the semester let out (leaving the very next day in fact, which was a wee-bit hectic!) I traveled with a friend on a great three week trip in Paris and the Provence region of the south of France. I have just sorted through my photos and will be posting some on my blog shortly, which I'll share, there's some cool stuff! 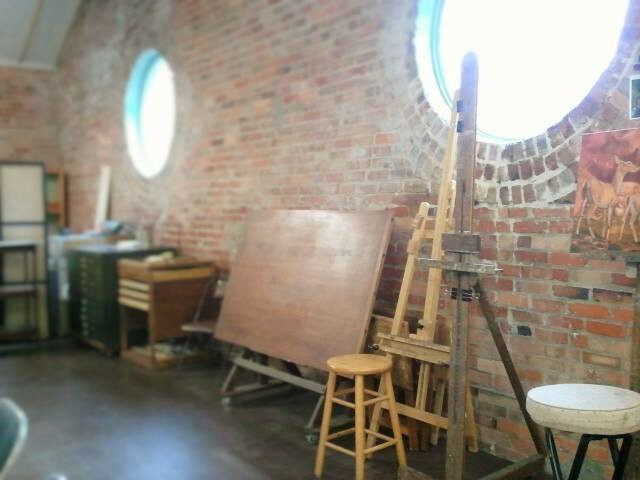 I'm happily back working at JMK Studio in Asheville's River Arts District with my friend, mentor and colleague John Mac Kah over the summer. 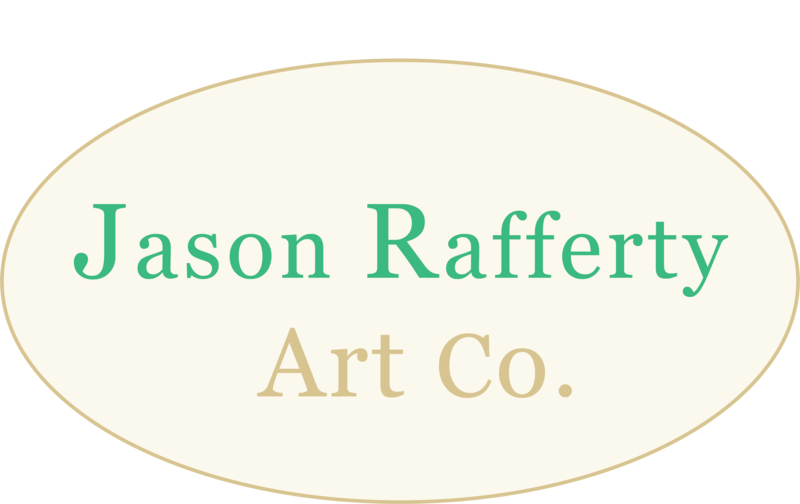 I am teaching a portrait drawing workshop this weekend, and am working on commissions and a few personal projects. 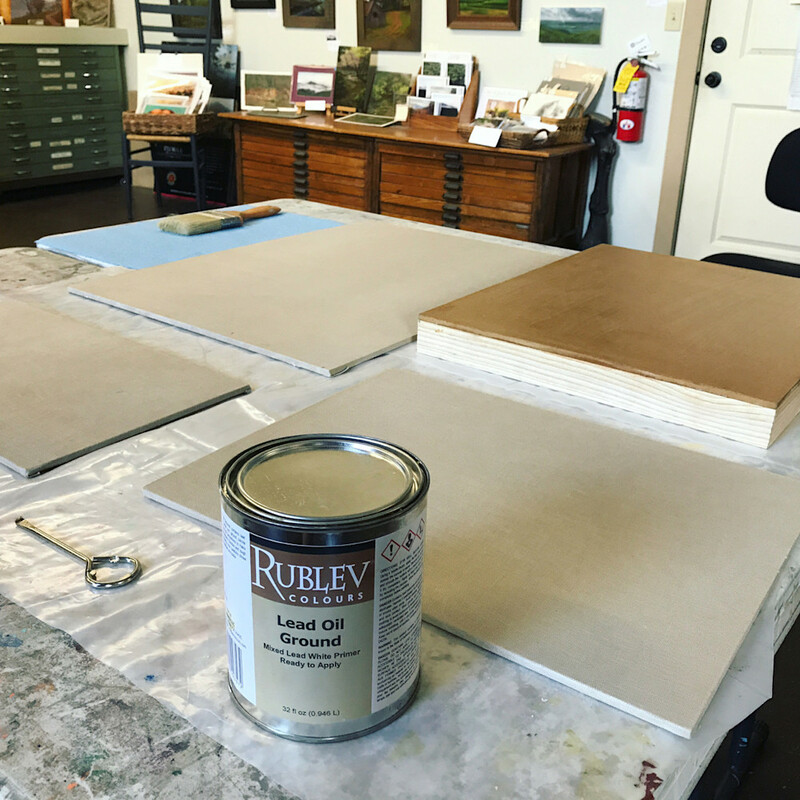 There's also the continual odds and ends of studio work, like preparing panels for painting and easel repair. I've included a motley mix of photos for you here. Preparing for a portrait drawing workshop this weekend I revisited some "old friends", drawings I want to show as examples to my students. 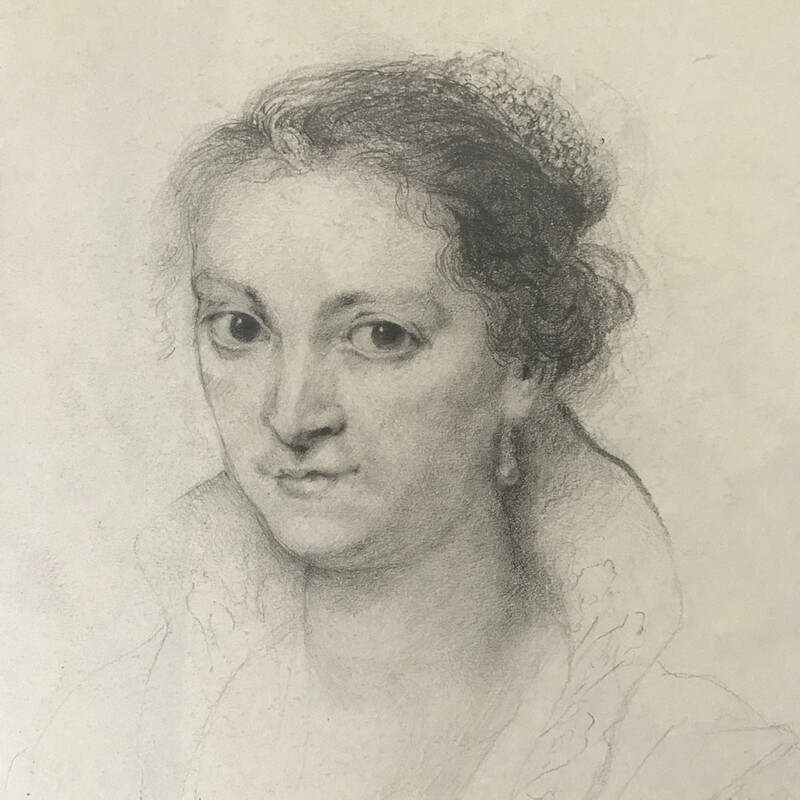 This graphite drawing after Rubens was done at the Louvre in 2012 during my first period of study with Studio Escalier. 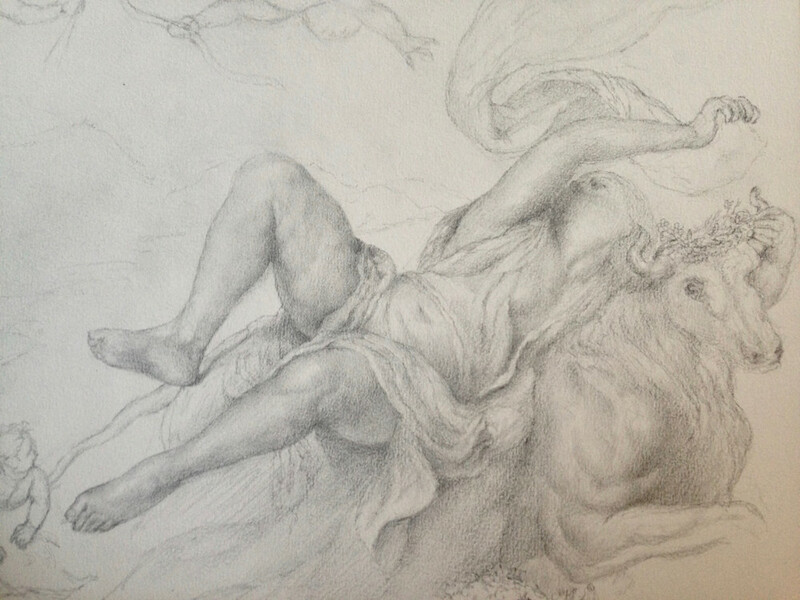 This drawing was done after the original 16th century Titian painting of Zeus (disguised as a bull) carrying off Europa which hangs in Boston at the Isabella Stuart Gardner museum. In 2015 I drew this for hours in the dark natural-lit room until the light faded and I could barely see the painting or my drawing. I'm sharing this, one of my personal favorite master copies, because this piece and one other sold to a client of mine in Paris during the recent France trip. I'm honored to have it join his fine collection of drawings and prints! Also a fun art history fact, my painting hero Peter Paul Rubens did a copy of this Titian painting while it was owned by Philip IV of Spain in the late 1620's, and called the Titian "The best painting in the world". Of course being a painter ain't just France trips and master copies, there's a lot of (pleasurable) mundane work that often gets overlooked. 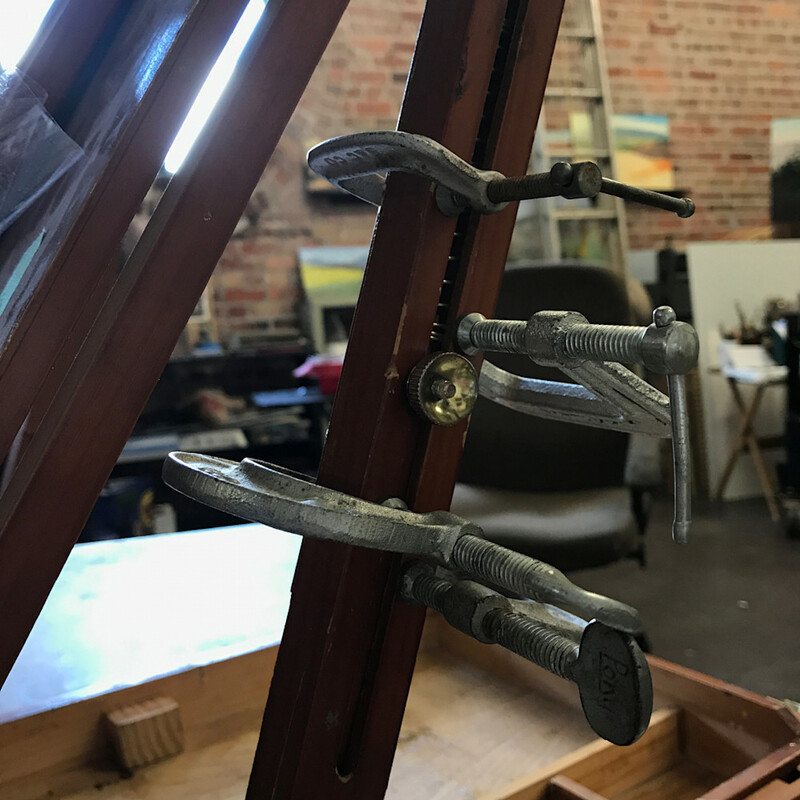 Here are two shots from the studio this week: getting ready to prime some hand-prepared panels for oil painting with an oil ground, and repairing an old faithful plein-air easel that fell on hard times. 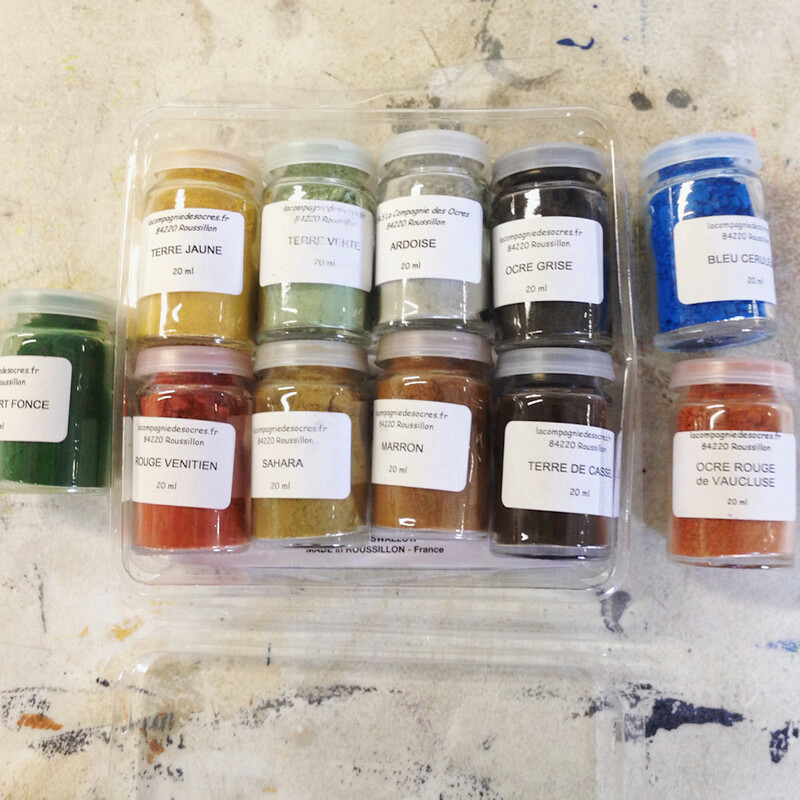 I got these pigments in Rousillon, France on this trip and am looking forward to mixing them with oil in the traditional way of making oil paint! A fun alternative to the pre-made tubed stuff. One more drawing from the examples I'm bringing to show at the portrait workshop this weekend. 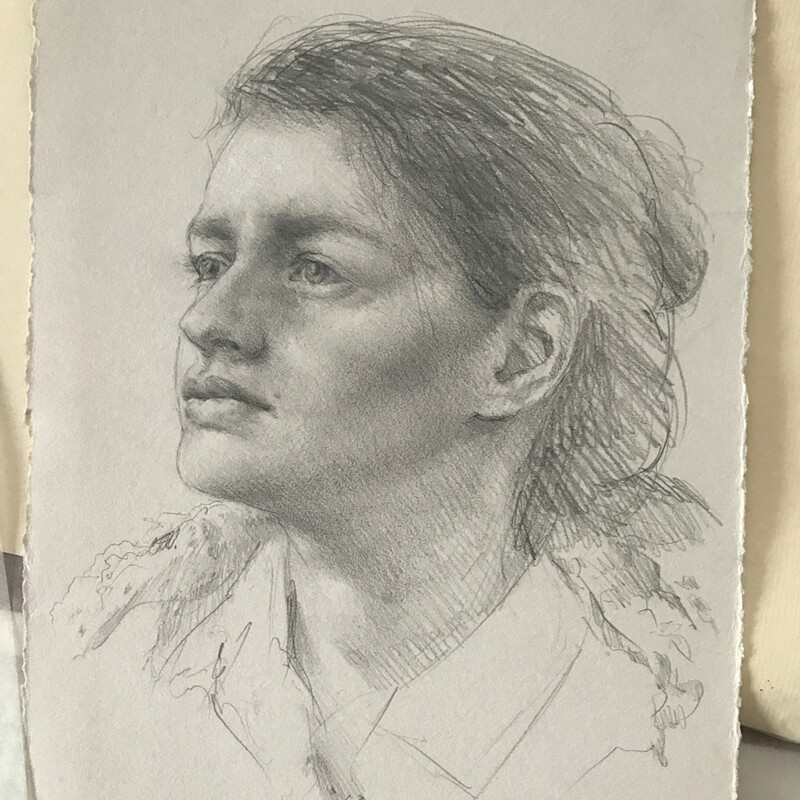 This was drawn from life over two sittings or so, and is an artist from Ukraine named Yelena who worked in our studio for a bit a few years back. Graphite and a few hints of white chalk on gray paper.